Farmworkers in NY are excluded from basic protections such as the right to collective organizing, overtime pay, and a day of rest. Too many still face indignities, such as a lack of bathrooms and clean drinking water in the fields. Now is the time to demand Justice. From May 15th- June 1st we marched 200 miles from Smithtown, Long Island, to the NYS Senate in Albany. 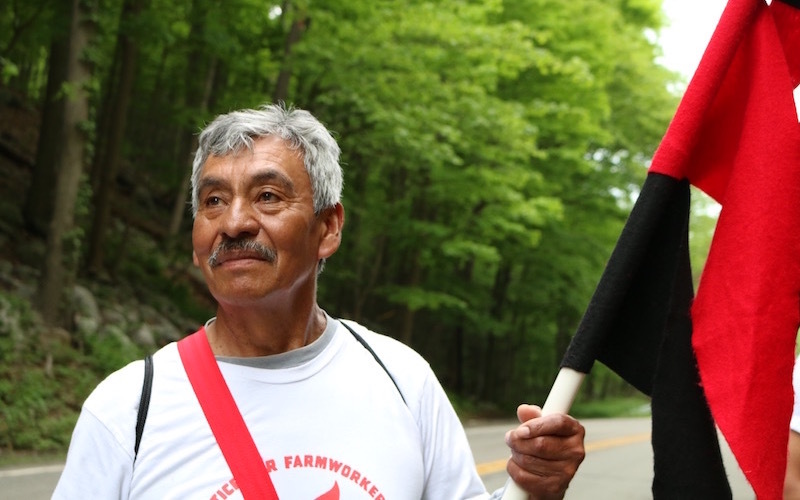 Still want to help Justice for Farmworker Campaign? Sign the petition to Governor Cuomo, the NY Senate, and the NY Assembly. Order a March T-SHIRT from the Youth Economic Group. Thanks to our allies for helping to fund and staff the March! Media updates for the March.